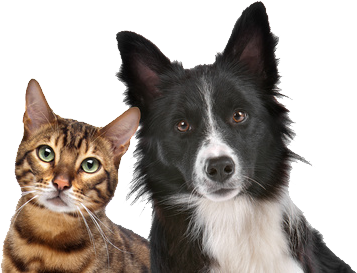 The cattery is situated well away from the kennels, so there is no need to worry about barking dogs. The cattery is purpose built. Each pen has a spacious heated indoor area with a cat flap to their individual outside exercise area. The pens are designed to accommodate multiple cats, so if there is more than one cat in your family there is no need to separate them. All our pens overlook open fields or our garden area so there is always plenty of wildlife to watch to keep your cat amused. The indoor areas have shelves provided so your cat can sleep up high and in the colder months can snuggle up under a warm heat lamp. We provide vet bedding, litter trays, food and water bowls for your cat. If your cat has a favourite bed or scratching post, you are more than welcome to bring it along, we just ask that all bedding can be washed and tumble dried. Here at Woodhaven we like to ensure your pet is fed the same diet as at home. All the cats are fed at least twice per day or as per your instructions. We stock a wide range of quality branded cat foods ensuring we cater for each individual cat’s requirements. Please feel welcome to view the cattery at any time. We are open 9am-12noon,1pm-6pm daily.